The little man got his first cold of the season so it was a watching movies and baking kind of day. He wanted a cookie, but I didn’t want to load him up on sugar! 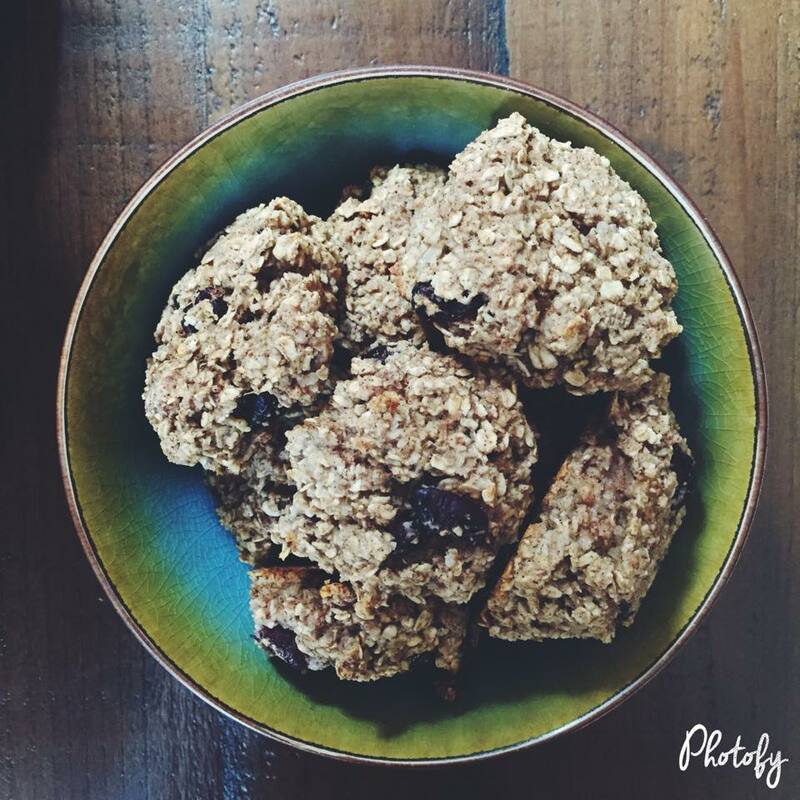 I made these 21 Day Fix approved healthy oatmeal craisin cookies and they were a perfect amount of chewy and a just a little sweet. Next time I might even add some dark chocolate chips! These were great as a little breakfast bar too since they aren’t super sweet. Two of these cookies equals 1 yellow container for 21 Day Fix. Mix it all and drop 12 cookies, BIG ones onto a baking sheet. These don’t puff up TOO much so you can put them pretty close! Bake at 350 for 12-15 minutes (mines was 12).